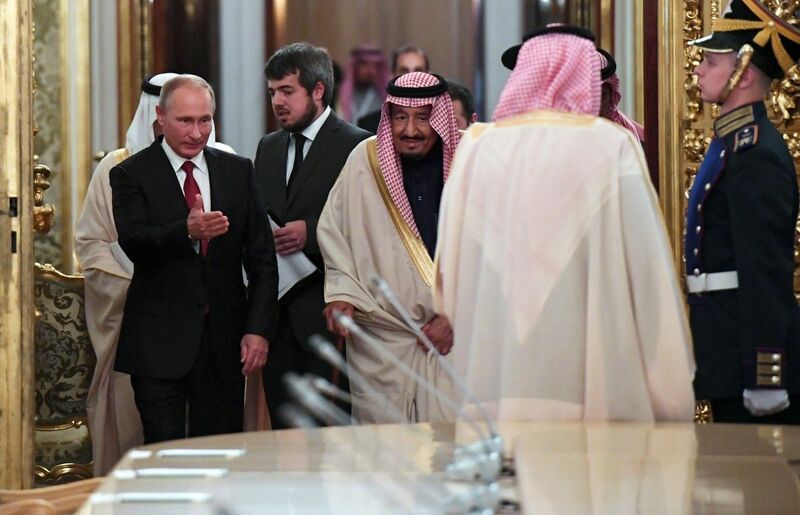 Saudia Arabia has agreed a deal to purchase S400 missile defense systems from Russia on Thursday during the state visit of King Salman Bin Abdulaziz to Moscow, according to Al Arabiya. The deal will allow the kingdom to acquire one of the most advanced missile defense platforms in the world, Al Arabiya reported. The S-400 Triumph is an anti-aircraft, anti-ballistic missile and anti-cruise missile defense system that has been in service with the Russian Army since 2007. Read alsoTrump travels to Saudi Arabia, Israel in first foreign trip – mediaThe S-400 is utilized by The Russian, Belarussian and Chinese armies. Turkey and India are awaiting delivery. Although the kingdom utilizes an American-European missile defense base depending heavily on Raytheon's Patriot missile systems, the inclusion of the Russian system is believed to enhance the system in place according to Riad Kahwaji, Chief Executive of the Institute of Near East and Gulf Military Analysis in Dubai. Read alsoRussia to deploy more S-400 missiles in occupied CrimeaSaudi Arabia already has an established early warning system with radars, early warning aircraft and missile defense systems, Kahwaji added.